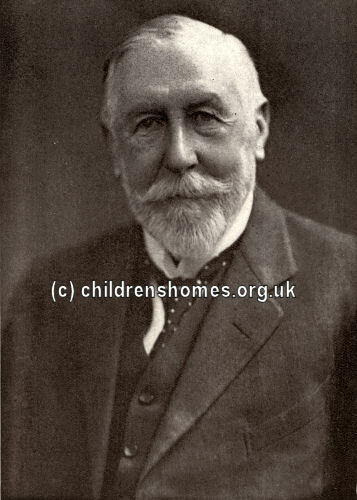 James William Condell Fegan was born in Southampton on April 27th, 1852. His father, James, was employed at the Ordnance Survey headquarters in the city and was also a member of the Plymouth Brethren. Until the age of ten, young James was educated at home by his mother. In 1865, the family moved to London where he entered the City of London School. In 1869, he joined the office of a firm of colonial brokers, and the following year experienced an intense religious conversion while reading a Greek play. Sometime afterwards, while out distributing religious tracts, he encountered a group of boys from a nearby Ragged School and subsequently began teaching at the establishment. The founding of Fegan's work is traditionally dated from 1870 although which particular event marks its starting point is unclear. In September 1871, the strain of combining his job in the commercial world and long evenings teaching took its toll on his health and led to an enforced rest. While recuperating in Bognor, he came across a rough, ragged boy named Tom Hammond who made a strong impression on him. He brought Tom back to London with him and found the boy a place in an institution from where, eighteen months later, he emigrated to Canada. Fegan's Ragged School pupils also opened his eyes to the dire conditions in which some of their acquaintances lived despite making a small income from working on the streets as shoe-blacks and match-sellers, or as mudlarks, grubbing along the river shore at low tide. Fegan's response was to rent a nearby cottage for the sum of five shillings a week where some of the boys could come each evening and be taught whatever they could learn. Some were allowed to shelter there all night and continue their street occupations during the day. His thoughts then turned to the setting up of an Industrial Home which would provide training and work for the boys during the day as well as shelter at night. With a loan of five pounds from each of four friends, the home was opened on May 1st, 1872, at 112-114 High Street at Deptford. As the numbers grew, the home also took over 118 High Street. Further expansion came in 1879 when the Little Wanderers' Home was established in Greenwich. This was followed in 1883 with a seaside branch at Ramsgate. 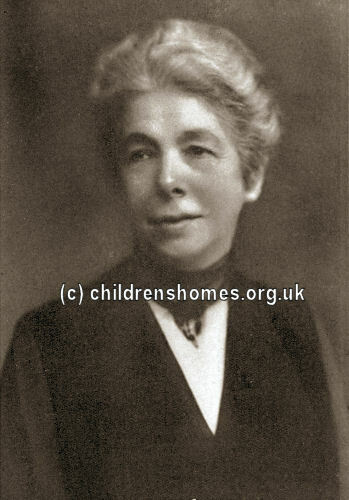 At around the same date, he took a party of the boys for a summer camp at Downe, in Kent, where his now-widowed mother was living, thus becoming a pioneer of 'camping out', which was to became a well-established activity at boys' homes. In 1881, Fegan opened a temporary convalescent home for some sick boys in a farmhouse at Rotherfield, near Tunbridge Wells. The venture was apparently short-lived and this strand of his work was not developed any further. On July 31st, 1882, following the expiry of the lease on the Deptford property, Fegan moved his base to 95 Southwark Street, Southwark. Located on a broad thoroughfare running parallel to the Thames from London Bridge to Blackfriars Bridge on the Surrey side, Fegan later described the home as 'the most centrally situated of all Rescue Homes in the great city.' The six-floor building could accommodate 150 boys who did not need seeking out but came of their own accord or were brought by the police. The boys were taught various trades to enable them to earn their own livelihood. At one time, demand became so great that temporary premises had to be taken in an adjoining street for the shoemaking workshops. A printing department was also established in connection with the home. Like many child 'rescuers' of his day, Fegan saw emigration to countries such as Canada as a valuable way of giving his boys a better future. In the spring of 1884, he took his first party of ten boys to Canada and, having been greatly impressed by the opportunities he found there, went there again in the summer with a contingent of fifty whose expenses had been covered by a £500 donation from Lord Blantyre who had become a valued friend and supporter. Fegan also received a donation from the MP Samuel Smith, director of the Liverpool Sheltering Home. In Canada, Fegan was greatly assisted by William Gooderham, a wealthy distiller, who had himself originally come to Canada as part of an emigrant family. 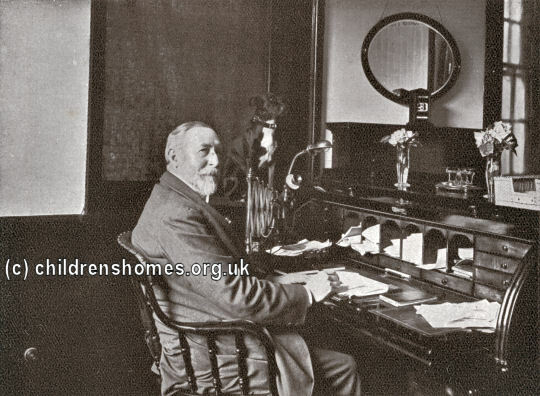 Gooderham initially provided Fegan's boys accommodation in the Boys' Home he was building in Toronto, and 1886 funded a Distributing Home in the city, which Fegan shared with the Salvation Army. On August 23rd, 1889, Fegan married Miss Mary Pope, whom he had met nine moths previously. After their marriage, the couple took up residence in two rooms at the Southwark Street Home, where they continued to live for the next twenty-three years. Mr. J. W. C. FEGAN writes:— 'The Boys' Home, 95, Southwark Street, London, S.E., April 8th, 1893. Dear Sir, I know no preparation like 'Homocea' for general usefulness in an institution like this. I have thoroughly tested it by personal application, and amongst our boys, for all kinds of pain and accidents; it does all that it is guaranteed to do, and we would not be without it here on any account. It is not only wonderful lubricant, but strongly antiseptic, and relieves inflammation and pain almost instantaneously. Personally I cannot express my thankfulness for it. I have used it for all kinds of ailments during the last eight years here, and at sea, and in Canada. For stiffness, sprains, mosquito bites, &c., it is a real boon, and no praise can be too high for it. No one need be afraid to use it for even the most tender part, or even on raw flesh. I have frequently used it for my eyesight with much benefit. I have always kept 'Homocea' (the veterinary preparation) for stable use. For sore backs, broken heels, &c., it is a grand specific. By 1900, the location of the Little Wanderer's Home in Greenwich was increasingly felt to be unsuitable and it was relocated to some former school premises at Stony Stratford in Buckinghamshire. In 1911, Fegan had the idea of setting up a 'Canada Training Farm' to prepare boys prior to their emigration for the kind of work they were most likely to end up doing in their new country. On hearing about the scheme, a City merchant met with Fegan and commissioned him to buy fifty acres of suitable land with the promise of £3,00 to start the venture. The site he selected for the 'farm colony' was at Great Hordern, near Goudhurst, in Kent. Within a few months of its purchase, fifty boys had been installed, farm implements ordered from Canada, and the building of extensive premises begun. A cottage on the property was converted for use by Mr and Mrs Fegan. As had been the case with the Greenwich home, the situation of the Southwark premises became increasingly undesirable and the location for a permanent replacement was found at 62-64 Horseferry Road, Westminster. The existing slum property on the site was demolished and a new building constructed. In it were housed the organisation's General Offices, an Enquiry and Advisory Bureau, a Receiving Depot for new cases, and a Working Lads' Hostel. FEGAN'S HOMES.—To commemorate Mr. Fegan's Jubilee, Mrs. Fegan announces that the Council have decided to offer 50 openings — 20 for boys over 14 on the Training Farm in this parish, and 30 for boys under 14 in the Orphanages at Stony Stratford and Ramsgate, for boys whose fathers fell in the war or are disabled through service in defence of King and Country, or whose widowed mothers — without any State allowance — are almost heartbroken in their hopeless struggle to provide bread, boots, etc., for their growing children in days of famine prices. Mr. Fegan wants to fill up 10 of the vacancies on the Training Farm here, created by "hiving off" with Juvenile Bolshevists, young victims of what he calls poison gas, and believes that a year's training on the Farm (costing £10 per boy) will save them, that they may become a strength and stay, and not a menace to the Commonwealth. James Fegan died at the Goudhurst farm on December 9th, 1925. His widow, Mary, continued his work until her death at the farm cottage during a German air raid on October 7th, 1943.